Luis Manzano, Vhong Navarro and Billy Crawford will show you how you can go beyond your usual unli with Smart Prepaid's enhanced offer: Unli Call & Text 25! In the newly released TV commercial for SMART Unli Call & Text 25, we find Billy and Vhong wearing metallic space suits in a futuristic setting while shooting for a sci-fi flick. Our two protagonists are being chased by an alien until the director cuts the scene because the third cast-member, Luis, is missing. 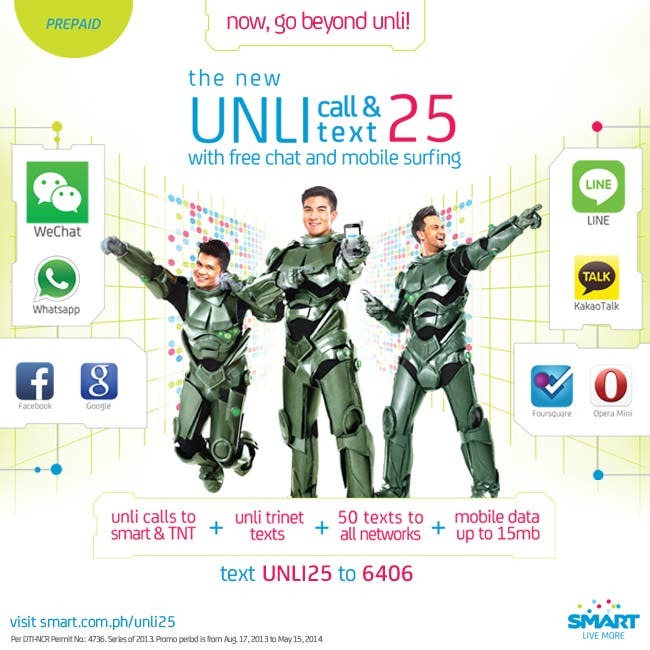 While looking for Luis, Vhong and Billy go beyond the usual unli with the new Smart Prepaid Unli Call and Text 25. For only P25, our heroes get Unli Calls to Smart and Talk ‘n Text, Unli Trinet Texts, 50 Texts to all Networks, and now with Free Chat and Mobile Surfing (up to 15MB) for one whole day! 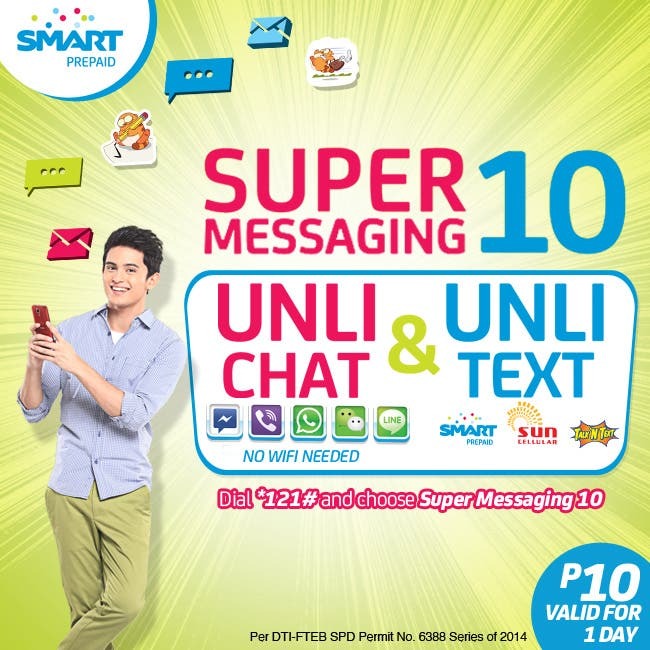 You can also join the Instagram and Twitter promo for Smart Unli Call & Text 25 and win cool prizes! For Instagram, create your own ending of the TVC through an InstaVid and share it with the hashtag #SmartUnli25. For Twitter, simply tweet your own version of the ending using the hashtag #SmartUnli25.